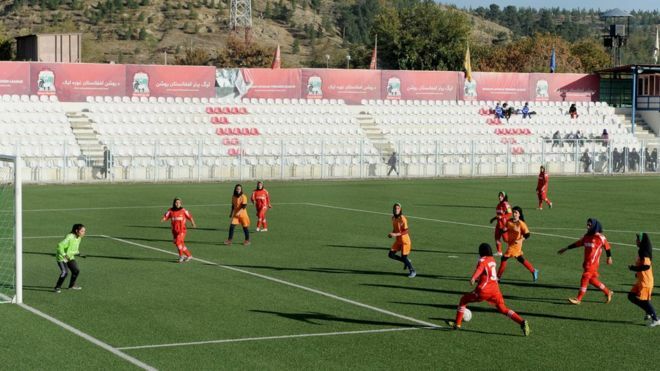 Ariana News Agency- But now one of Afghanistan’s top sports officials has admitted that female footballers – who defied hard-liners and militants by daring to take to the field in the first place – have been sexually abused. And it’s not only football – he admitted the problem extends to other sports too. The scandal has exploded in the last few days. On Friday, football’s governing body Fifa said it was investigating claims made by women in the national football squad. The Afghan Attorney General’s Office then announced its own investigation too. On Monday, President Ashraf Ghani addressed the allegations head on, saying they were “shocking to all Afghans”. “Even if mere allegations cause our people to stop sending their sons and daughters to sports, we need to act immediately and comprehensively,” he said. Sayed Alireza Aqazada, the secretary general of the federation, whose president Keramuddin Karim is among the accused, repeated previous denials. The women’s stories aren’t true, he said. No sexual harassment had ever been carried out against any female player. But the furore is showing no signs of abating. Questions were asked in both houses of Afghanistan’s parliament on Monday. Then Hafizullah Rahimi, the head of Afghanistan’s Olympic committee, made a surprising statement to reporters in Kabul.